If Australia doesn't win tonight... the build-up towards the end of year World Cup will be poorer for it. Australia have long been looked at in International Rugby League as the 'Evil Empire' due to their dominance at Test level since the glory days of the 80s and 90s. 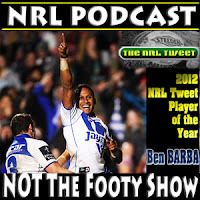 But when they dropped the 2005 Tri-Nations to New Zealand, then followed that up with a staggering loss as the host team in the 2008 Rugby League World Cup - again to New Zealand, and then lost the 2010 Four Nations final - once again to the Kiwis - the mighty Kangaroos haven't been held in quite the same high esteem in the last decade. And in my opinion, that is not good for this upcoming Rugby League World Cup. While I don't think for a second that International Rugby League is better when one team winning every single game they play - having a team that every other nation can target come the code's main event is crucial to building anticipation for the tournament to be held in the British Isles in October and November. 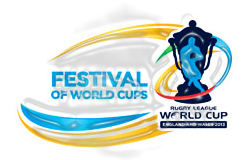 As of right now - Australia are clearly the favourites, followed by New Zealand and England and then there are 11 other teams scheduled to take part in the 2013 World Cup (France, Papua New Guinea, Fiji, Ireland, Samoa, Tonga, Scotland, Italy, Wales, Cooks Islands and the USA). 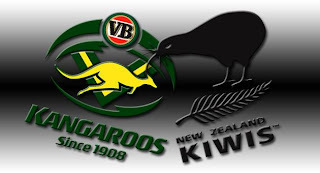 But should Australia lose to New Zealand tonight in the ANZAC Test at Canberra Stadium - then Australia's status as the invincible beast is dampened somewhat. Granted New Zealand could win by 40 tonight and still not be the favourite for the World Cup, but if they do win - the lustre of this particular Australian team will be diminished. And when it comes to marketing the World Cup as an actual international spectacle - I don't believe that having a 'weakened' Australia is going to be beneficial in piquing interest in the end of year tournament. You can argue with me that if New Zealand and England are 'considered more of a chance' that this makes the tournament more interesting but even as an Australian, I want to watch the World Cup to see if Australia truly are a great team, not just a team of great players. I want the pressure, I want the expectation. I don't want Australia under Des Hasler's hair - that is under the radar - I want my Kangaroos to be the raging hot favourites, and then under immense pressure of every team lifting to play us - WIN THE WORLD CUP. And I find it hard to believe that for the supporters of most teams - having a team to 'hate' come October isn't going to make the World Cup required viewing. So c'mon Australia - do International Rugby League a favour and crush the Kiwis tonight. Now the other factor at play here is the lack of strategic build-up of the 'other' international teams heading into 2013. While it is absolutely fantastic to see Samoa and Tonga face off on Saturday in what HAS TO BE an annual event this representative weekend, why aren't Papua New Guinea playing Fiji as well? Why aren't the Cook Islands taking on the USA in Hawaii for that matter? In short - Why is Australia v New Zealand the only locked-in annual international fixture on a stand-alone representative weekend? Two years ago the NRL bowed to 'pressure' and declared they would set aside a weekend in the first half of the regular season for a stand-alone representative weekend from 2012. They dedicated Friday night to the ANZAC Test, Sunday to the City-Country clash (which is still extremely important to the Country) and decided to invest in another Under 20s game - a State of Origin fixture - despite interest in the National Youth Competition being limited at best. Yet no-one evidently had the foresight to invest in establishing other annual international Test matches. The kicker for me was the withdrawals of half of the City Origin team for this year's City-Country in Coffs Harbour and at least one high profile Kiwi for the ANZAC Test. Now I've already written about how clubs are doing best by themselves in this instance, but where are the withdrawals for the Australian team? Or the Country team? Or most significantly - the Samoan or Tongan teams? They are practically non-existent - because for the players involved with these teams, representing where they come from means everything. Why haven't we got a plethora of international games this weekend? 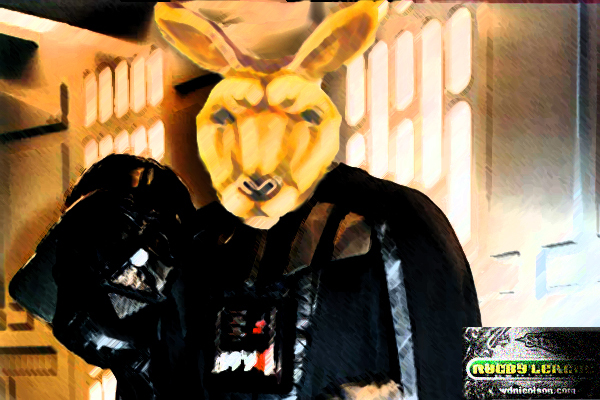 Anyhoo... while you chew on that question, tonight's game will be won by the Kangaroos and really, they should win by plenty. As much as I may have hammed up the lack of invincibility of the Kangaroos (they lost the 2005, 2008 and 2010 Finals yes, but not much else), the fact is Tim Sheens has just one loss as Australian coach - and that was the 2010 Four Nations Final. Australia have every great Queensland player involved in their Origin dominance at their disposal for this Test and a few fairly handy Blues as well. They are at full strength (and Cooper Cronk is a genius). The Kiwis don't have Benji Marshall or Sonny Bill Williams. And still haven't figured out what their best backline is after a host of attempts in recent years. They are significantly under-strength. For Australia - nothing short of victory is acceptable, by 1 point or 30 points - the margin doesn't matter, winning does. For New Zealand - they must stick with the Kangaroos for as long as possible. While victory might be beyond them without Benji and SBW, a rousing effort will mean everything to coach Stephen Kearney as he plans for October and a serious challenge to the Kangaroos. They might lose by 20 in the end, but if the Kiwis are within a try with 20 minutes left - that's a big confidence booster for Kearney and his troops, especially with two superstars still to come into the team later on. And maybe by then Kearney will have finally settled on his best backline - which has to be a genuine threat to the all-star group Australia have. In front of a sell-out crowd in Canberra. So what are your thoughts on this game and putting multiple Tests on the International Rugby League schedule this weekend? So who gets the call for the Friday Night Test in Canberra?